Now that I have gotten the work done on my mouth, because of your program I have a beautiful smile and a new job and I love it. Aloha Medical Mission depends on donations and grants to sustain its operations. We are very grateful to all those who give; below is a list of our major supporters. For all other donors, see our Annual Report. Hawaii Dental Service (HDS), the state’s leading dental benefits provider for more than 50 years, was established by dentists to make oral health care affordable and accessible for Hawaii’s families. The HDS Foundation was established in 1986 to further advance HDS’s mission in the community. The HDS Foundation supports local nonprofit organizations that provide oral health education, prevent oral disease, and increase access to dental care for underserved populations. HDS is a proud supporter of Aloha Medical Mission’s dental program with contributions totaling more than $750,000 for dental equipment and supplies. Established in 1938, the Hawaii Medical Service Association (HMSA) is the most experienced health plan in the state. HMSA established its foundation in 1986. Improving health in Hawaii is a monumental task and the HMSA Foundation is dedicated to this effort through grantmaking, strategic initiatives, publications, and communitywide programs. The HMSA Foundation has been a great supporter of Aloha Medical Mission Dental Clinic over the years, ensuring that Hawaii’s uninsured have a place to turn for free dental care. Queens Medical Center is located in downtown Honolulu, and is a private non-profit, acute medical care facility. As the leading medical referral center in the Pacific basin, Queens offers a comprehensive range of primary and specialized care services. Queens is accredited by the joint commission on accredidation of health care organization. The medical center is also approved to participate in residency training by the accredidation council for graduation medical education. The Clarence T.C. Ching Foundation’s focus is on grants that make a difference. When they donated $91,374 to Aloha Medical Mission to establish two additional dental exam rooms including two new dental chairs, the impact was tremendous. The Clarence T.C. 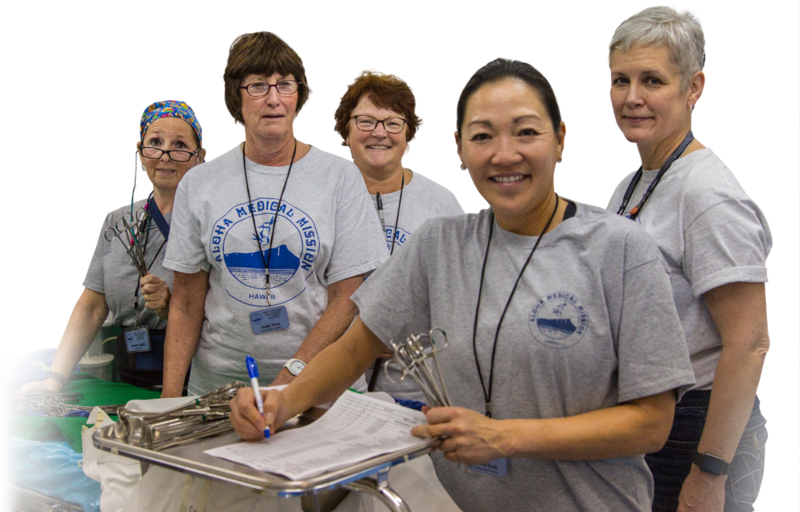 Ching Foundation enabled Aloha Medical Mission Dental Clinic to double their capacity to serve the many who are unable to afford dental insurance. Looking around our community, evidence of their commitment is everywhere and we are proud to be among their grant recipients.